Tourvest is committed to being a responsible corporate citizen of the communities and the environment in which it operates. It realises that its continued success is not just a factor of how it performs operationally or financially but also on a demonstrable commitment to a positive and mutually beneficial relationship with every stakeholder affected by its business and the well-being of the environment. To this effect, one of Tourvest’s key strategic imperatives is to positively impact the long-term sustainability of society, particularly the communities in which Tourvest operates, and the tourism attractions on which much of its business is based. • Corporate responsibility, realising that its continued success lies with the ability to play a leading role in the development of the travel and tourism industry and to support important industry initiatives. • Corporate Social Investment (CSI), including socio-economic development contributions as defined by the BEE Codes of Good Practice, aimed at positively impacting society. • Employee Volunteer Programmes, in order to increase the visibility of and affinity in the Tourvest brand in the community while instilling the group’s corporate culture and values within its employees. • Skills development, especially in the area of travel and tourism education, with a focus on developing skills at a grassroots level in an industry where quality consultants are becoming increasingly scarce. • Community development, particularly in the field of job creation through craft development and support for the Siyazisiza Trust as well as lodge ownership in order that rural community members, in particular women, may share the success and growth of Tourvest. • Africa’s natural heritage, it will assist in sustaining destinations that will become increasingly attractive to foreign visitors whose needs will further stimulate job creation and local economies. Coupled with changing their internal eco-friendly habits and operational structures, TDM is offering travellers the opportunity to contribute towards reducing their carbon footprint and to support the war against rhino poaching by purchasing a ‘Green Seat’. 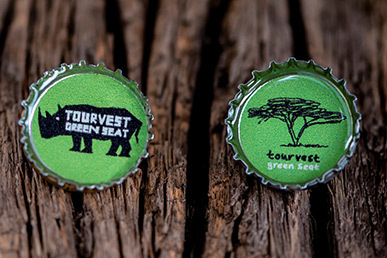 Since inception in 2012, TDM and its clients, have donated over R510 000 towards anti-rhino poaching, R216 000 towards reforestation, and R84 000 has been paid to the community project for producing the up-cycled Green Seat client badges. 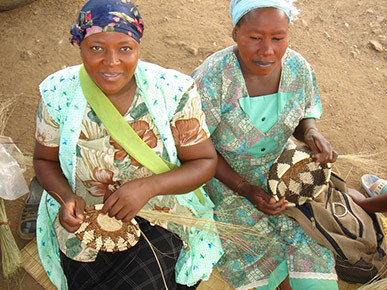 In 1999, Tourvest Destination Retail (TDR), a division of Tourvest Group, joined forces with our the Siyazisiza Trust’s former subsidiary, Khumbulani Craft, to assist rural communities living in post-apartheid South Africa with income generation through the production and sale of craft. (Khumbulani Craft was merged with the Siyazisiza Trust in 2012). Inspired by a common objective, Tourvest initiated the relationship which has seen in excess of R112 million being contributed by Tourvest to the Trust’s rural economic development endeavours. 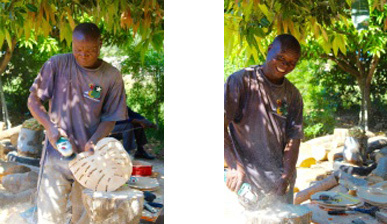 In addition to the CSI support provided to the Trust, TDR, one of the largest retailers of crafts and curios in South Africa and abroad, provides invaluable market access for economically secluded rural craft producers supported by the Trust. This support is underpinned by TDR’s commitment to the creation of sustainable employment opportunities in the informal sector and the absorption of SMMEs into its supply chain of over one thousand suppliers. In 2017, in an effort to increase the support given to the Trust and its beneficiaries, specifically the craft marketing and sales entities developed through the Trust’s craft enterprise development programme, TDR, with much appreciation from the Trust and its craft beneficiaries, included all five secondary entities into its supply chain and continues to provide one-on-one advice in respect of product development and price points. These sessions, facilitated by TDR’s dynamic team of retail, brand, merchandise and transformation specialists, provide valuable insight into key commercial aspects of a business, including exposure to instore retail processes and product pricing. Tourvest attended the Kwena Molapo High School in Lanseria where it held classroom seminars and gave presentations to approximately 180 learners on tourism and the subject choices required to succeed in the industry. These presentations and seminars were not limited to travel and tourism specific roles and included disciplines such as human resources, marketing, IT and finance so that the learners were given as wide an exposure as possible to various career opportunities. 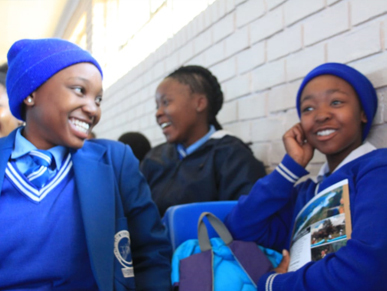 Principal Michael Maligana says learners tend to choose their subjects without any forethought and base their decisions largely on what their friends are doing or what their parents dictate. “These engagements with corporates give our learners the opportunity to learn and interact with successful business people and to make informed decisions that will impact the rest of their lives,” he says. Says grade 9 learner Michelle Mlanga: “I was very grateful to have some Bcom Accounting graduates come talk to us because, even if my mother wants me to pursue the sciences, I was more interested in accounting. I loved the phrase they used – do something you love to avoid regret – and, thanks to them, I know now what it is I want to be and the courses I need to take to get me there. Thank you Tourvest,” she says. Tourvest volunteers from across the group arrived in their numbers to help out at Baragwanath hospital in Soweto on 18 July, in what would’ve been Nelson Mandela’s 100th birthday. Baragwanath is the world’s third largest hospital, covering 170 acres, employing 6 760 staff and housing 3 400 beds. 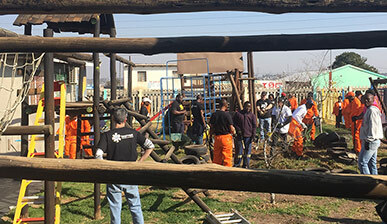 The volunteers were assigned to teams and tasked with specific jobs including cleaning the laundry room, the paediatric ward and other parts of the hospital; packing and helping with deliveries in the pharmacy; greening the entrance gardens with the assistance of a professional landscaper; and fixing the paediatric ward’s jungle gym. Other teams were sent to the nearby Tlhatlogang Secondary School where they gave an in-depth presentation on tourism, conservation and sustainability. Tlhatlogang, which had a pass rate of 96% last year, introduced tourism as a subject choice in 2016. They also assisted in cleaning up the Klipspruit-Klipriver wetlands area and Raymond Rampolokeng, Soweto’s first accredited bird guide and owner of Bay of Grace Bird Watching Tours, gave an insightful talk on the importance of our wetlands and the types of birds that can be found there. Tourvest East Africa has vowed to purge its premises of all disposable plastic products. The company has all but eliminated the use of disposable plastic products at its properties, electing instead to use banana-weaved boxes for packed picnic lunches and aluminium canisters instead of plastic water bottles. One of the cornerstones of the company’s approach to corporate social responsibility and sustainability is the belief that it should be a steward of the environment. 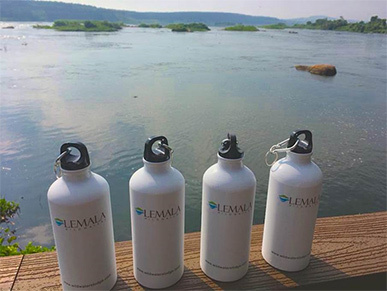 It is for this reason that it has been an active campaigner for the #throttle_bottle and #banthebottle social media drive to create awareness around plastic pollution since June 2017. Where disposal plastic items still find their way to Tourvest East Africa’s properties, these are collected and sent to recycling companies where they are repurposed to create school desks for the nearby Jangwanii School in Karatu. 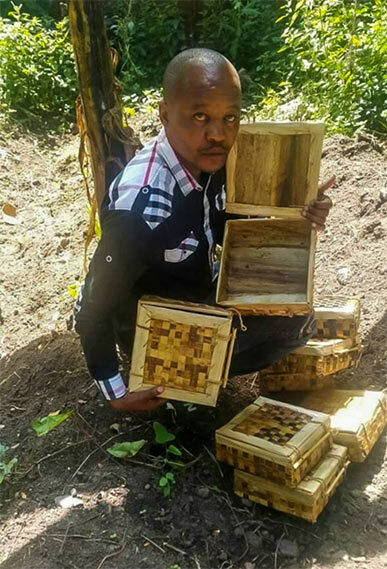 Tourvest East Africa has partnered with a crafting consortium comprising 18 local women to provide its lodges with lunch boxes weaved from dried banana skins. 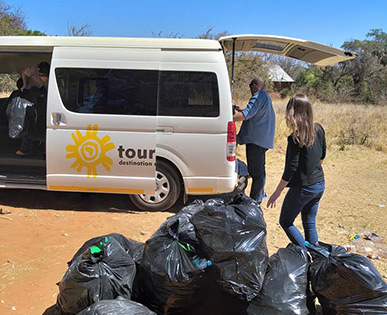 In so doing, Tourvest says it is killing two corporate social responsibility objectives with one stone: supporting and developing local entrepreneurship while reducing its impact on the environment. Tourvest Travel Services (TTS) treated fifteen very excited orphans from Gauteng to a getaway in Durban as part of the group’s social responsibility drive to introduce underprivileged children to the wonderful world of travel. 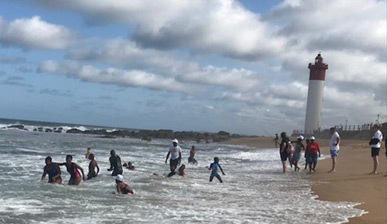 Their two day trip was packed full of new experiences, including a wonderful tour of uShaka Marine World where they were treated to a variety of shows and an educational experience. This was the first time these children have ever been on an aeroplane, stayed in a hotel or, for most, set foot in the ocean. Since its introduction three years ago, the Tourvest bursary programme has been a great success. According to StudyTrust, Tourvest’s bursary administrator partner, the Tourvest bursary programme supported a total of 12 students at South African tertiary institutions in a variety of study programmes in 2017 for a total amount of close to R1 million. There are 18 beneficiaries on the programme for 2018, of which seven are new. The new beneficiaries are George Lebese, Oyama Makanda, Thandeka Mthembu, Sibongile Nhlapho, Megan Pringle Manyatja Rammutla and Yolanda Sigodi. 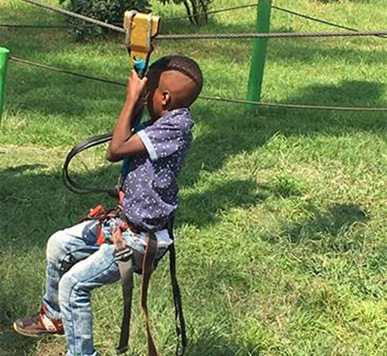 GoVacation Africa and Tourvest Destination Management treated 33 children from Mary’s Haven, a home for abandoned children in Johannesburg, to an outing at the Acrobranch Tree Top Climbing in Melrose Arch. Each child was given a harness and safety briefing, after which they climbed and zip-lined from branch to branch until they were exhausted. To finish the day, the children were given a hearty meal of meat, chicken, pap and chakalaka as well as a gift bag containing chocolate Easter eggs, a jersey and toiletries. Tourvest Destination Management pledged its support to the Real Talk with Nthabi’s #findthebox campaign, aimed at keeping children in school through the provision of sanitary towels and deodorants. 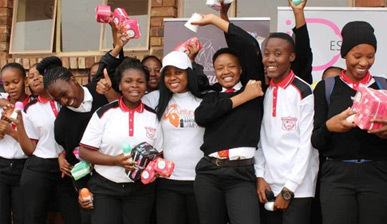 A lack of sanitary towels and deodorants has been identified as a leading cause of absenteeism at school and the purpose of the campaign is to help bring back the confidence of boys and girls from disadvantaged backgrounds so that they don’t have to be distracted by hygienic issues and focus on their schoolwork. 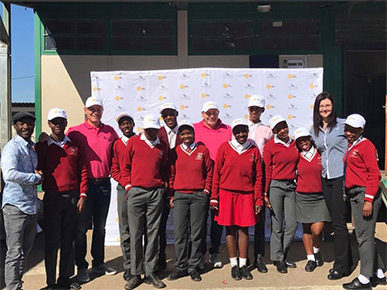 Tourvest’s Mandela Day engagement focused on Orange Farm’s Duzenendlala school for children with learning disabilities. 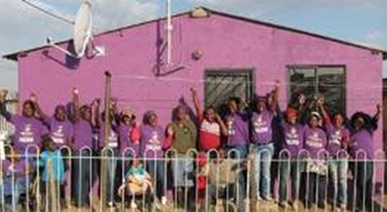 This year the 150 volunteers from across the group, 80 of them to paint 10 houses on the property and the other 70 to do much-needed upgrading and maintenance work on the school itself, ranging from providing disability-friendly access paths to building an office for the principal. 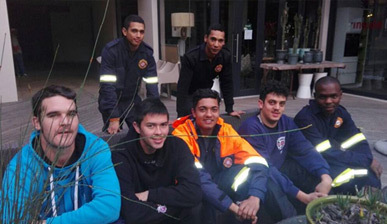 The Rex Hotel in Knysna, operated by Tourvest, has allowed members of the public affected by the fire to use its facilities until their own electricity and water are reconnected. Gary Elmes, chief executive of the integrated tourism group’s accommodation and activities division, said in the aftermath of the fire the hotel opened its doors to anyone, pets included, who had to evacuate their homes. “As our own facilities were unharmed, we are glad to make a contribution towards alleviating the distress of our community,” he said. Tourvest volunteers from all its divisions headed to the Kwena Molapo High School in Lanseria for a Subject Choice Day, where they presented to 132 grade 9 learners about possible career opportunities in the tourism sector and the subjects they’ll need to take in grade 10 to be able to achieve their career goals. The school, which was established in 1995 to eradicate illiteracy among children living within impoverished areas in the Lanseria area, is one of the feeder schools for the young beneficiaries of Tourvest’s social partner Afrika Tikkun. The school is situated 2 kilometres from the Lanseria airport and enrols its learners from Diepsloot, the Thabo Mbeki informal settlement and adjacent Lanseria plots. Despite its limited resources, the school has an exemplary academic record with a grade 12 pass rate of over 90% since 2006. Our Jacaranda Monster Leaf was selected to feature in 100% Design South Africa’s highly acclaimed 100 Beautiful Things Exhibition taking place at Gallagher Estate from 5-9 August 2016. Congratulations to designer Laurette van Zyl and master crafter Sunboy Nkuna for creating this masterpiece. 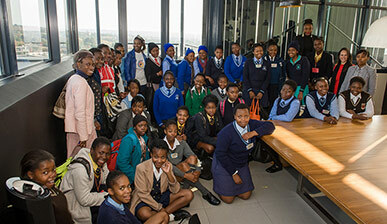 Tourvest opened its doors to 40 young women for the annual Take A Girl Child To Work Day initiative and, in the process, warmed them up to the idea of a possible career in travel and tourism.